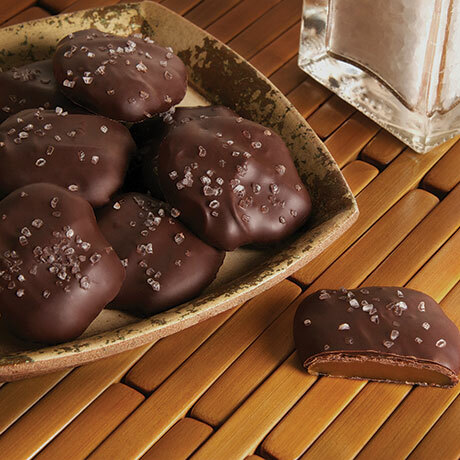 Chewy caramel surrounded by rich, dark chocolate and sea salt. 6-ounce box. Dark chocolate (sugar, chocolate, cocoa butter, anhydrous milk fat, soy lecithin, vanilla), corn syrup, sweetened condensed milk (milk, sugar, skim milk), sugar, hydrogenated coconut oil, sea salt, butter (pasteurized cream, salt), salt, carrageenan, soy lecithin.